My name is Sharon Ojala, (a Finnish last name pronounced O-yah-lah). I'm a Finnish girl born in Canada. I'm in my 40's and have 3 children, 2 cats. I'm a positive thinker who usually finds the silver lining in any dark cloud. In Sept of 2016 I became extremely sick, in fact, almost died a couple times. I was in and out of hospital until the middle of 2017. I have since been diagnosed with an unknown auto-immune disease that attacked my heart, lungs and other organs. I was also diagnosed with Ulcerative Colitis. Both diseases are now under control with infusions every 8 weeks and a medication daily. I refuse to say "my disease". These diseases are not mine. I believe that my body got confused and soon I will be in complete remission. It's been a long road with many ups and downs but right now I am feeling good and getting stronger everyday. Family, my cats, coffee, designing yarny toys, Harry Potter, LOTR, anything Jane Austen, Junk Journals, and all things miniature. He freaked out when I gave it to him and he kept that doll close by him for years. Now it sits on a shelf of honor and remembrance. After that, I began making my kids their favorite movie characters. I designed my own when I couldn't find a pattern, or one I could understand. Around that same time I was already building dollhouses and things that go in them for my kids. I ventured into the world of making it myself because I couldn't afford the store bought things. I was a single mom with 2 small kids to care for. Making them things became a part of us. They spent countless hours playing with things I made them. That's a feeling that can not be fully described. I wanted to share that feeling with the world so I started blogging to do just that. Today I have a very large Gnome Home and one very large tree in my craft room that I am furnishing and making characters for. My kids are now too old for these things but I'm old enough to enjoy them! (Some of you will totally get that). Of course, I'm always making something with yarn too. I have new designs always in the works that I add to this blog on a pretty regular basis. I truly believe a crafty world is a better world. I want to share crafting and amigurumi with as many people as I can before I leave this planet. It can change lives. It changed mine! Crafting is more than just knowing how to do something, it's about learning, growing and sharing. It's about creating our own worlds, no matter what's going on around us, one filled with creativity, positivity and love. These aren't just fun words I've chosen. I believe them to be true. I believe in the crafting community. By giving and sharing with that community it builds, not just one, but everyone up. It's never-ending. 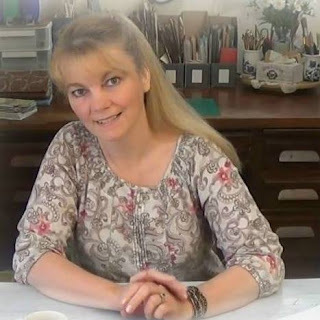 I get countless messages from all over the world how crafting has changed a life, how it has brought joy to another, how it is helping to supplement an income. I treasure these messages. I feel blessed and honored to be part of this creative, giving, and ever-growing community. a) Where The Gnomes Live is my crafty blog, mostly about my miniature builds and creations. b) Amigurumi Freely is a free pattern directory. There you will find patterns from other designers that I share on my facebook page Amigurumi Freely everyday. c) Amigurumi To Go is the blog you are on now. Here you find only my own designs. Much Love and Happy Crafting! Just a brief message of support. I, too, am a new crocheter. The first thing I made was one of your ducks and was only able to do that because of your YouTube videos. There is no way I would have been able to complete it without them. I have since made a few monkeys and one of the diary of a wimpy kid boys (tricky). Your patterns are wonderful and my 4 year old granddaughter loves the things I make for her. Good luck with your health and your patterns are really appreciated. Thank you for sharing these amazing pattern with us. Mi nombre es María y soy española, nací en Valencia. Me alegro mucho de que encontraran una medicación para que pudieras llevar una vida "normal". Siendo muy joven me diagnosticaron fibromialgia y síndrome de fatiga crónica. Los médicos siguen desconociendo la enfermedad pero con medicamentos sigo adelante. Tengo marido y dos hijos jóvenes. Lo único que lamento es que desde bebés me han visto mis hijos enferma y, venir el médico de urgencias a nuestra casa, para seguidamente desplazarme en ambulancia al hospital. Mi marido siempre ha estado a mi lado y ha tenido que hacer muchos sacrificios. Intento llevar una vida "normal" y llevo unos meses, este año, viendo tutoriales para aprender ganchillo, macramé, costura, tejer con dos agujas, bordar, etc. Quiero aprender a hacer ropa para mi familia y cosas pequeñas para vender. Quiero ayudar a mi marido con la economía de la casa u sé que lo lograré. Un enorme abrazo de algodón. (el algodón no duele). I want to thank you for sharing your absolutely fantastic designs, and your video tutorials are so clear and easy to follow too. Thank you Sharon! Sharon I love crafting and indeed a world without crafting will be a very boring and sad place. It was through crafting that I was able to over come many difficulties and challenges in my life. From the bottom of my heart I wish you and your family well and I pray for your complete recovery. My life has also been in turmoil for the past nine years.It started with nearly losing my husband due to health issues. Then caring for my father with dementia until he passed in 2017, followed by more cancer for my husband and then caring for my sister until her death this past September. Now the cancer has returned for my husband and we face more operations and treatment. If not for the love and joy of my grandchildren I may not have survived all the lows and losses. I learned to crochet as a young girl and would make an afghan now and again for loved ones. I was looking for something easier that I could work on while waiting around at doctor appointments and hospital stays and found Your videos which have opened up a whole new passion in me for the craft. I am excited to start with the Dress Me Bunny. Thank you so very much for sharing your talent with us in such detail that I have the confidence to achieve my goal. Thank you thank you and thank you again. Sharon may be your name, but "Sharing" is closer to your true name. You share so much and give every day. Every day someone finds a video or one of your pages and something on them will inspire that person to try. It may be your spooky tree or your big foot series, Your monster book is so impressive it should inspire people to try anything! Your trees have me thinking of other creations to use on my desk or on my walls, for a different type of shelf or desk storage. Your creativity has broadened my already active imagination. I am beginning to think far beyond my current box. Like my cat in the avatar that asks "Dog? What Dog?" I now say "Box? What box?" In a very large way, thanks to you. I am 70, a widow and disabled as far as standing or moving around much. My home is 240 sq ft, and crafting is my major activity. I spend the year making things to give away. So every nook and cranny is stuffed with supplies and yarn, and boxes and bags of projects. My eyesight has taken away much of the small things i used to do, like jewelry making and fine Christmas ornaments, but there is plenty of things I Can do and I DO! Anyone out there that thinks "I can't" should just set aside their doubt and go for it! A day looking through your pages should show them Something they could start with. You are truly inspiring girl! God bless!!! I'm currently making the fierce dragon and enjoying making it. Your instructions are so easy to follow and understand. I'm making the dragon for my 37 year old son who likes dragons. He is handicapped and really enjoys the crochet items I make for him. His birthday is next month so making for his birthday. Thanks for all you do for us in the world of crochet. You are amazing! Thank you for the tutorials. You are very gifted! I too have IBD, and do infusions every 7 weeks. I didn’t know this about you when i found your YouTube tutorial on making a mouse that inspired me to learn to crochet. Now i feel that we are kindred spirits! I just started to crochet, and the first thing I made was your elephant. :) I followed your Video Tutorial, it was clear what to do in all times. very easy for a beginner to learn. thank you! I am very soon finnish with my second project, your bear!